Word of mouth is one of the most powerful ways to get new business. Happy customers you have provided a service for are a powerful source for new clients. You will get more customers through word of mouth by asking your satisfied clients to write you a recommendation. This recommendation will be published on your profile and will be displayed to their entire LinkedIn network. By answering questions in your industry/domain on LinkedIn; you can demonstrate that you are expert and you know what you are talking about and potentially win new business. When you go to LinkedIn Answers; it recommends categories of questions other LinkedIn members have asked. You can answer questions which best describes your talent/expertise and also you help others genuinely. This is a great way to share your knowledge. And a way to win new clients and find prospects to offer your services to. Prospects will read your answers using LinkedIn’s advanced Answers search. Networking with industry peers leads to repeat business referrals. You can find targeted groups to join by search LinkedIn Groups and join groups where you can find your prospects. Example; if you are financial planner you can find a group of accountants and start contributing your expertise to that group and connecting with accounts and enter into Joint Venture relationships that’s mutually beneficial. The fastest and easiest way to grow your business is to JV with someone who already has markets to your ideal target prospects. 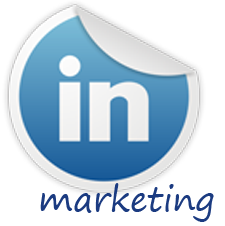 If you are not already on LinkedIn than read this blog post to get started with LinkedIn. If you are already on LinkedIn start implementing these tips today to benefit your business. Do you have a friend who will benefit from these strategies? Send them link to this blog post. Heads up! We have a venue change for Social Media MI this Thursday, Feb. 19, 2009. Our Temporary location change will be just south of Troy Community Center on Livernois at the Marriott, Residence Inn. We have some very fresh and exciting information to share with you this month! This months event is FREE to ALL! Guests welcome so bring some friends! Coffee and water will be provided.